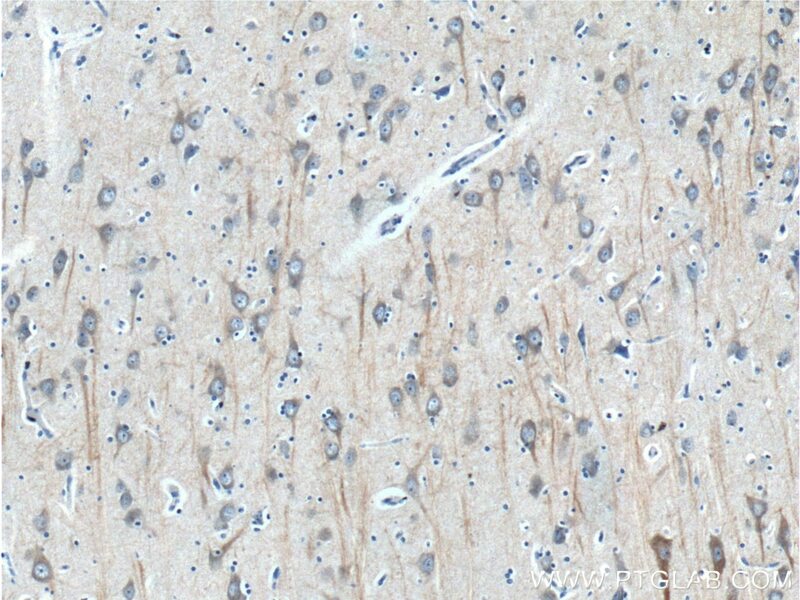 Immunohistochemical analysis of paraffin-embedded human brain tissue slide using 60220-1-Ig( CHRNA7 Antibody) at dilution of 1:200 (under 10x lens). 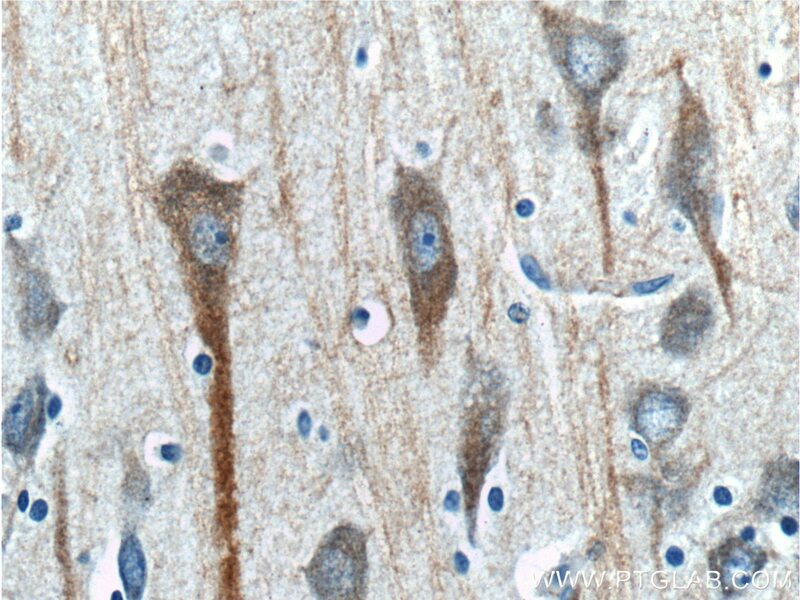 Immunohistochemical analysis of paraffin-embedded human brain tissue slide using 60220-1-Ig( CHRNA7 Antibody) at dilution of 1:200 (under 40x lens). Nicotinic acetylcholine receptors (nAChRs) are cholinergic receptors that form ligand-gated ion channels that mediate fast signal transmission at synapses. CHRNA7 (neuronal acetylcholine receptor subunit alpha-7) forms a homo-oligomeric channel, displays marked permeability to calcium ions and is a major component of brain nicotinic receptors that are blocked by, and highly sensitive to, alpha-bungarotoxin. Functional Human α7 Nicotinic Acetylcholine Receptor (nAChR) Generated from E. coli.